Dr. Sodergren holds Masters and Doctoral degrees in clinical psychology from the Institute for the Psychological Sciences (IPS) in Arlington, VA, the only graduate school in existence devoted to integrating the best psychological science with a Catholic view of the human person and the moral life. 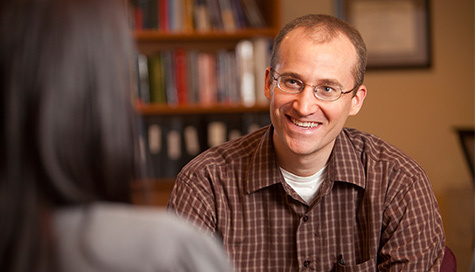 His doctoral dissertation, completed in 2009, was entitled “Attachment and Morality: A Catholic Perspective.” Dr. Sodergren established Ruah Woods Psychological Services in 2011. His previous clinical work was with the Alpha Omega Clinic and Consultation Service in Bethesda, MD and with Catholic Social Services of Southern Nebraska. Dr. Sodergren is trained in child, adult, marital/family, and group therapies as well as psychological testing, including vocational assessment for candidates to the priesthood or religious life. He is certified in Relationship Enhancement® couples therapy and is pursuing certification in Emotionally Focused Couples Therapy. He is an active member of the Catholic Psychotherapy Association and is a regular presenter at professional conferences and Church events on the integration of psychology and the Catholic faith. He also teaches an annual course on psychology and neuroscience as an adjunct professor at the John Paul II Institute for Studies on Marriage and Family in Washington, DC. Dr. Joseph Molitor earned his Ph.D. in clinical psychology at Miami University and his Masters degree at the University of Dayton. Prior to graduate studies in psychology, he completed a Bachelor’s degree in philosophy at Christendom College. It was during his philosophical studies of the human person that he developed an interest in and foundation for pursuing the applied science of psychology. Dr. Molitor has provided outpatient therapy to children, families, and adults in various clinic settings and inpatient mental health services at Cincinnati Children’s Hospital. Within the Cincinnati area, he has delivered school-based therapy and consultation services, conducted psychological evaluations for youths referred to St. Joseph Orphanage and Cincinnati Children’s Center for ADHD, and worked collaboratively here at RWPS to provide therapy and vocational assessments. 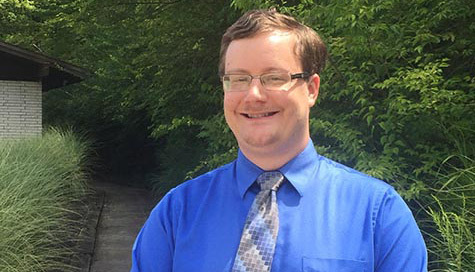 Most recently, Dr. Molitor is returning to us from Catholic Social Services of Southern Nebraska, where he completed his pre-doctoral internship, which focused on individual, couple, and group therapy, with an emphasis on integrating the Catholic faith with psychology. Dr. Michael Murphy completed his Bachelors degree in psychology at the University of Kentucky. He went on to earn Masters and Doctoral degrees in clinical psychology at Divine Mercy University’s Institute for the Psychological Sciences (IPS). 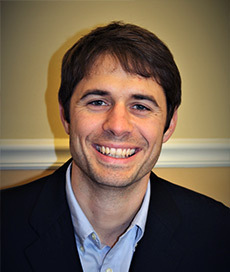 His doctoral dissertation, completed in 2017, was entitled “Flow in the Context of Vocation.” His previous clinical work was with Vital Sources, a Christian private practice in Frederick, MD and his internship was with Rappahannock Area Community Services Board in Fredericksburg, VA. Dr. Michael is trained in child, adult, marital/family, and group therapies as well as psychological testing, including vocational assessment for candidates to the priesthood or religious life. He has a special penchant for working with those struggling with depression, loss/grief, and vocational/existential issues, but works with patients from a wide range of presenting concerns. He also knows that individuals come to Ruah Woods looking for change and healing with a faith-filled therapist they can trust, and he is honored to take up that calling. For more information or to make an appointment with any of our providers, please call 513-407-8878.